Virtual credit card or Virtual online card is an auto-generated card created to serve for the purpose of making payments online. They are used to pay for services/transactions done in the internet and in most cases are not physically issued by a financial organization. While it is not as anonymous as paying via Bitcoin, it is far more convenient. Virtual cards are not handy, it doesn’t involve a physical plastic card, It is created with an e-number via web and it looks/acts so much like your normal cards (Visa, MasterCard, etc). The introduction of virtual credit cards has helped reduce the rate of internet scam. Since they are not physical cards, it is definitely impossible to hack/clone them thereby making online transactions safe and secured. With a virtual credit card, your personal information/details will not be visible to anyone while performing an online transaction. I’ve have used different virtual cards in different transactions I did recently and it worked perfectly. So, i decided to write an article about them. They are valid over a specific time frame set by the card user. Virtual cards give you control over your spending: you choose the number of times the card is to be used, whether it should be used for a one-time payment or used multiple times. It is accepted by over 90% of internet users globally. Now, we’ve known what virtual credit cards are and their benefits, let’s see where and how to get them and how to start transacting with them. This is an online platform where you create instant virtual cards to pay for a service or transaction done in the internet. You choose to dispose the card after or retain for future use. EntroPay Virtual cards acts like a physical Visa Card and so can be used for various online transactions. You create, pay and delete at ease. All transactions, payments, and account activities appear on your profile page. Your private details are 100% safe and secured. SpectroCard is an online MasterCard to pay for services on platforms that accepts MasterCard for payments including Amazon, Aliexpress, etc. With a SpectroCard virtual MasterCard, no extra charges will be billed on your transactions except but the initial transaction fee. 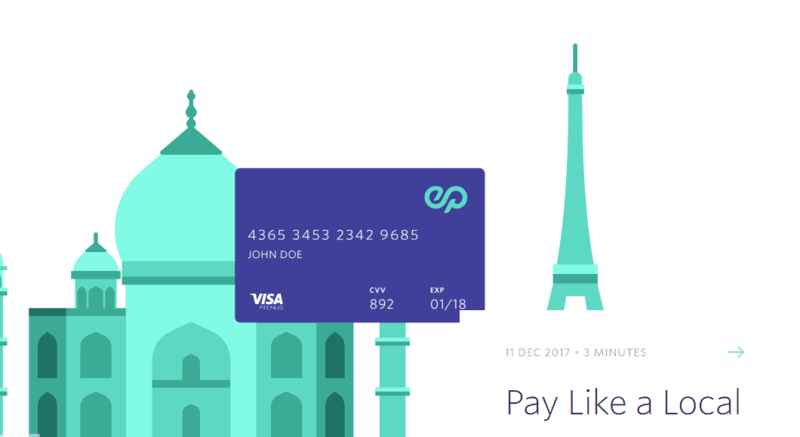 Fund your prepaid virtual MasterCard using your physical credit cards/ATM’s, bank transfers, SOFORT, PaySafeCard, OKPay, PerfectMoney, Payeer, etc. No verification is needed to create and use Spectro virtual cards and you can choose to create multiple virtual cards. N/B: It works everywhere and on every platform the physical MasterCard works. The first time I came across this platform, I remembered the long forgotten social media 2go, so i became enthusiastic to know how it works and hey! it was cool. MyCard2go is a prepaid Visa card which can be employed to pay for services/transactions done in the internet. It can be handy or virtual, i.e; you can request for a physical MyCard2go prepaid card or keep using the online virtual MyCard2go card. The choice is yours. How to use MyCard2go cards. Register/activate MyCard2go cards online through the company’s website. Upgrade your card to ULTIMATE status and unlock all its premium features. Also, with the plastic MyCard2go visard card, you can withdraw cash from bank machines (supported banks only). Barter cards are awesome, I tried them while shopping on GoDaddy and they didn’t fail me. GetBarter vitual cards can come inform of MasterCards or Visa Cards and they are generally acceptable on all platforms which supports Mastercard/Visa card payments. How does Barter cards works? Register for barter cards and start using them immediately. It has support for all banks and financial institutions in the US, Kenya, Ghana and Nigeria. There is no limit to the amount you can fund your barter card with. Once linked with your bank account, credit/debit card, funding your card is as easy as saying how much you want to have on it. Yandex money is the Russian republic’s answer to Paypal. It is popular among internet geeks as it lets you pay for game coins, in-app purchases and VPN services. The top best feature of Yandex.money virtual credit card (VCC) is the ability to link it to a Paypal account. Most users prefers linking their Yandex.money VCC to Paypal, making it their preferred payment method for most internet tools. Can be used on top US websites including Paypal and Ebay. Can be withdrawn, transferred to e-wallet and/or other cards. You can sign up for a free Yandex.Money VCC by using their official website at money.yandex.ru. One cannot talk about anything related to online payments without mentioning Payoneer, this is one of the most popular payment processors across the globe. Payoneer is a financial services institution which provides digital payment and online money transfers worldwide. They provide their customers with a digital Mastercard which serves as VCC (Virtual Credit Card) to perform online transactions. A payoneer MasterCard holder can withdraw, send and receive money into his/her local bank account or online e-wallet. This article contains trusted platforms where you can create virtual cards for your online transactions. They’ll keep your personal transactions hidden and safe from hackers. Ever used a VCC before and it’s not listed in this article? let us know about it through the comment box, we would like to hear your views, opinions and reviews on VCCs.